To get things rolling, Team Wyatt visited Wyatt at a local bowling alley near their home during the month of December as he celebrated his birthday with family and friends. 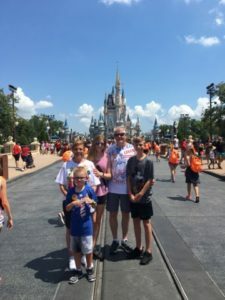 Wyatt’s Wish Team gave him 2018 season passes for the entire family to Six Flags in Arlington for his birthday. At the birthday party, Wyatt and his family were informed by our Volunteer Team that he would be heading to Disney World with his family in July 2018. Wyatt’s Wish Team visited him and his family in June to bring the final touch to the trip prior to their departure. 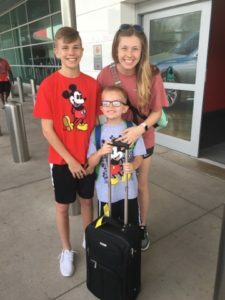 Bringing gifts and presents for Wyatt and the family to enjoy their trip was such a highlight and exciting moment as they counted down the days for their trip. 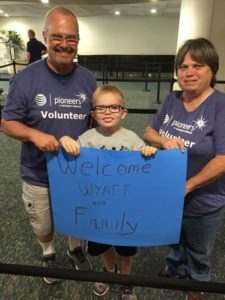 Once the family arrived in Orlando, they were greeted by our Orlando Pioneer friends who gave Wyatt and his siblings presents. 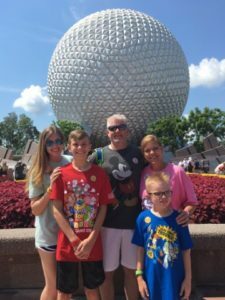 The family was transported by the resort shuttle to their Disney World resort, The Art of Animation. 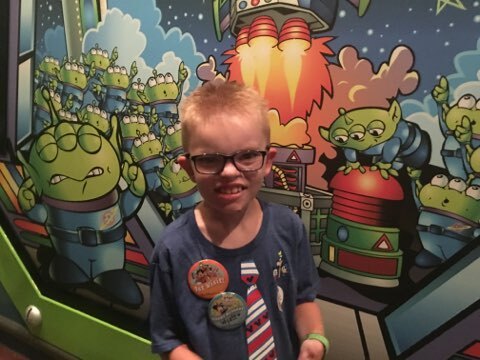 The joy and value for Wyatt and his family to go to Disney World for his wish was priceless. Thank you to Wyatt’s Wish Team and the Orlando Pioneers for helping make Wyatt’s wish come true.